Cherie was appointed chief executive officer of Willingway in 2017 after owning and operating her own consulting services company for private behavioral health partners. She comes to Statesboro from Charleston, S.C., with more than 35 years of extensive experience in the behavioral health and social sectors, including serving as the vice president of clinical operations for Meridian Behavioral Health Systems and CEO of Palmetto Behavioral Health Systems. Dr. Robert was hired in December of 2018 as Willingway’s Medical Director, bringing an extensive amount of knowledge about addiction treatment with him to Willingway. 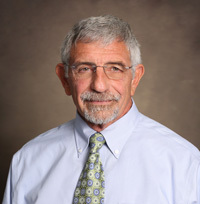 He has worked in the field of addiction medicine for 28 years, having previously worked as a staff physician at Willingway from 1990 – 2010 and Medical Director from January to July of 2010. Dr. Robert is a member of the American Board of Addiction Medicine and the American Academy of Family Medicine and is a fellow with the American Society of Addiction Medicine. Stephanie has experience in several healthcare settings, including rehabilitation, long-term care, behavioral health and the emergency room. She returned to Willingway as director of nursing after having previously worked as a staff registered nurse. Stephanie served as the interim assistant director of Nursing at Coastal Harbor Health System in Savannah, Georgia. Stephanie is a certified CPI Nonviolent Crisis Intervention Trainer. Tracie has served as clinical director of Willingway for 11 years after having held the position of recreation therapy coordinator for 15 years. She has also served as safety officer for 23 years. Tracie was awarded Willingway’s Employee of the Year award in 1993. Larraine re-joined the Willingway team as director of business development in August 2016 after having begun her career at Willingway as a marketing representative in 1994. After her departure in 2000, Larraine continued her career in sales and returned to behavioral healthcare marketing, first at Memorial Health in Savannah and, most recently, as the director of business development at Coastal Harbor Health System, also in Savannah. Larraine brings more than 22 years’ experience in behavioral health marketing and is thrilled to return to the Willingway family. Linda has been with Willingway for more than 17 years. She studied sociology at Georgia Southern University and worked in a medical office for six years before being recruited to Willingway as a patient accounts manager. She soon began helping families navigate finances through the admissions process and increasingly took on more responsibilities with the admissions group. In early 2014, Linda was promoted to the director of admissions position. She manages Willingway’s team of admissions coordinators and, together, they are responsible for guiding families through the process of finding the best treatment solution for their loved ones. John Williamson began his career in substance abuse counseling in 2005 at West Midtown Medical Group in New York City. During this time, he was also employed as a Substance Abuse Counselor for Freedom Institute, working in the Intensive Outpatient and Adolescent/Young Adult Programs. In 2010 John transitioned to Willingway in Statesboro, Georgia to serve as an Inpatient Addiction Counselor. He held this position until the following year when he became Manager of The Lodge, Willingway’s long-term residential program for men. In the spring of 2017 John was promoted to the Director of Extended Treatment Services and was given the responsibly of overseeing the operations for all of Willingway’s extended care programs. He was the recipient of Willingway’s 2014 Employee of the Year award and holds a BS in Recreation and Parks Administration from Clemson University. John is a Certified Addiction Counselor, Level II.